​Juventus may be leading the race to sign Aaron Ramsey, but the deal is far from done and there are still several European giants who are looking to hijack the move. 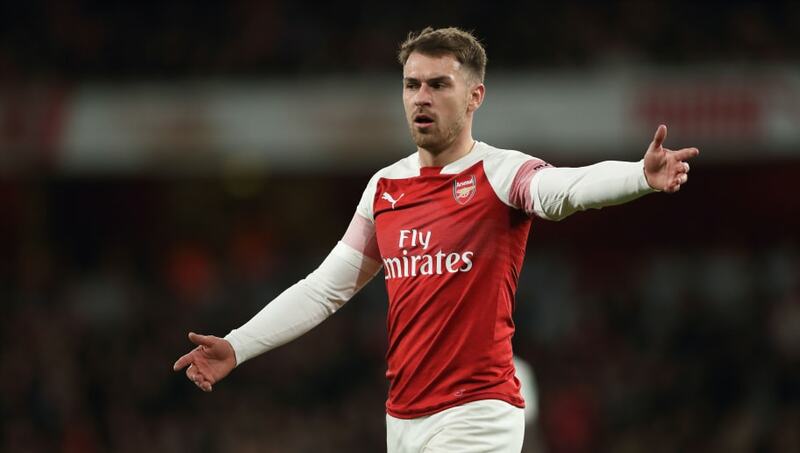 However, Ramsey's 'boyhood dream' of joining Barcelona will not come true, as the Catalan club have decided not pursue their interest in the Welshman despite holding preliminary talks. According to ​BBC Sport, Paris Saint-Germain have made an offer which holds great appeal, and there is still interest from ​Real Madrid, ​Bayern Munich and ​Inter as well. Aaron Ramsey's next club is set to make him the best-paid British player of all time. And it looks like he could be heading to Serie A. Real Madrid winger ​Gareth Bale is understood to have encouraged his international teammate that a move to the Santiago Bernabeu would be in his best interests, but ​Juventus remains ​Ramsey's preferred choice. There is an outside chance that he could stay in England, with ​Liverpool having made enquiries, but it appears almost certain that he will go abroad. It is expected that he will sign a pre-contract agreement this month. ​Arsenal withdrew a four-year contract extension offer in September for footballing and financial reasons. It is understood that the two parties were close to a deal and Ramsey was annoyed to have the rug pulled from under him in this manner. Club officials reportedly regretted the £350,000 a week deal given to Mesut Ozil and were determined to avoid a repeat, even if it meant losing a player of Ramsey's ability. With no transfer fee to pay, the likelihood is that Ramsey will become the best-paid British footballer of all time when he completes his move next summer. Ramsey has made over 350 appearances for Arsenal since signing from Cardiff in 2008. He has won the FA Cup three times, scoring the winner in the final twice.